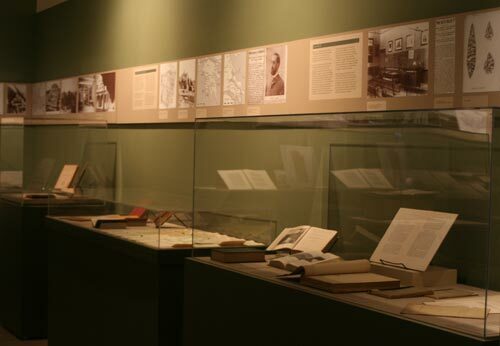 The publication of John Griffiths Pedley's new biography, The Life and Work of Francis Willey Kelsey, inspired the Kelsey Museum's curators and staff to prepare the exhibition A Man of Many Parts: The Life and Legacy of Francis Willey Kelsey, which both highlighted and complemented Professor Pedley's biography. 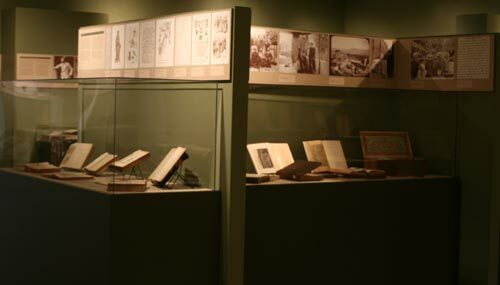 The exhibition, held from June 8 to September 16, 2012, presented a unique collection of archival photographs, Kelsey's own papers, textbooks, slides, postcards, stereoptic images, guidebooks used by Kelsey on his expeditions, copperplates for printing the illustrations of Kelsey's book on Pompeii, and much more (see the exhibition floor plans). Highlighted throughout the galleries were objects that Kelsey was responsible for acquiring. 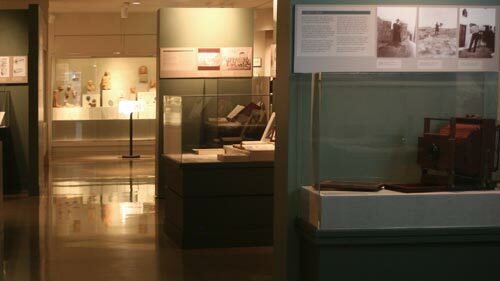 Beyond the museum's own collection, the exhibition showcased examples of rare manuscripts and ancient papyri purchased by Kelsey with funds he raised. It also featured a slide show Francis W. Kelsey: A Life in Pictures, summarizing Kelsey's life through a series of photographs. 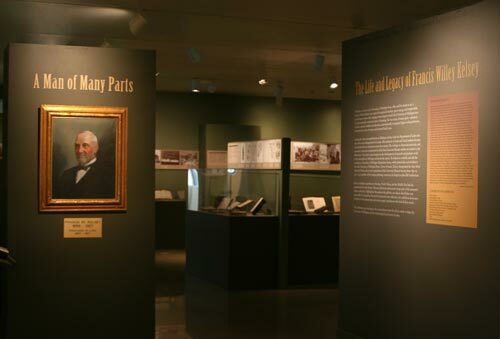 This website, launched in June 2013, presents an online version of A Man of Many Parts exhibition; it recreates the show through gallery views, close-ups of objects and documents, and texts from panels and labels. The online exhibition also includes a selection of Kelsey Museum objects that are on permanent display in other galleries of the Museum. Inspired by John G. Pedley's book, the exhibition A Man of Many Parts: The Life and Legacy of Francis Willey Kelsey was conceived and curated by Elaine K. Gazda, Curator of Hellenistic and Roman Collections. 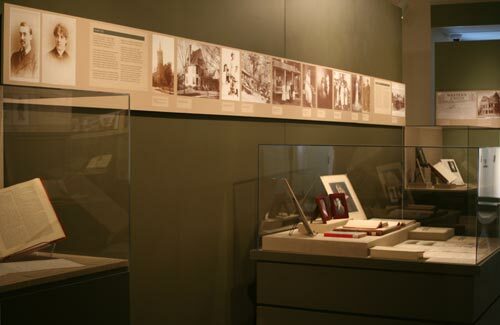 The exhibition draws heavily upon the archival photographs, books, and documents held in the Kelsey Museum and upon the Papers of the Kelsey Museum now at the Bentley Historical Library, catalogued by Kelsey archivist Carol Finerman. Generous help was also provided by Kelsey's grandchildren, Pat Arthur and Easton Kelsey, Jr.; by Nancy Martin, University Archivist at the University of Rochester; by Art Miller, Head Archivist at Lake Forest College; and Alan Lovell at the Detroit Historical Museum. Hima Mallampati, Assistant Professor of Museum Studies at New York University, contributed many ideas to the development of the exhibition from the start, and she and Curatorial Intern Brandon S. Green each authored several texts on Kelsey's acquisitions and produced the movie of archival images. At the University of Michigan thanks are due to Director Francis X. Blouin, Archivist Karen Jania, and Associate Archivist Brian Williams of the Bentley Historical Library; Acting Archivist Arthur Verhoogt and Collection Manager Adam Hyatt of the Papyrology Collection; Senior Associate Librarian Pablo Alvarez and Information Resources Specialist Evyn Kropf of Special Collections; Shannon Zachary, Head of Preservation and Conservation; Leyla Lau-Lamb, Senior Conservator of Books and Papyrus; Carol McKendry, Information Resources Senior Supervisor at the Buhr Shelving Facility of the University Library; Kim Schroeder, Head, and Sally Bjork, Coordinator, of the Visual Resources Collection and Media Services, Department of the History of Art; and Kenneth C. Fischer, President of UMS. At the Kelsey Museum warm thanks are also due the curators, conservators, and other staff and interns of the Kelsey Museum, especially Scott Meier, Exhibitions Coordinator, and his assistant, Noah Posthuma; Margaret Lourie, Editor; Claudia Chemello, Senior Conservator; Michelle Fontenot, Registrar; Helen Giordani, Curatorial Assistant; Todd Gerring, Coordinator of Museum Visitor Programs; Lauren Talalay, Curator of Outreach Programs; volunteer Randall McCombs; and IPCAA students Nicole High, Jenny Kreiger, Emma Sachs, and Ivan Cangemi. 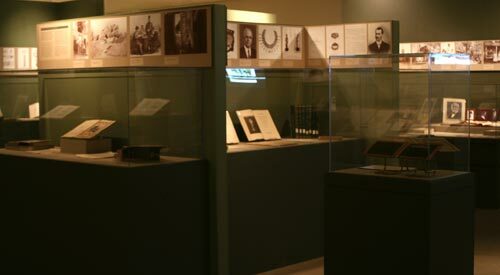 A special debt of gratitude is owed to John Griffiths Pedley, former Director of the Kelsey Museum, for his enthusiastic participation in this project and to Sebastián Encina, Coordinator of Kelsey Museum Collections, for his creative ideas and his numerous discoveries of archival documents, photographs, memorabilia, and other materials and for heading the project of digitizing hundreds of archival photographs in preparation to the exhibition. The online version of the exhibition was designed and created by Julia Falkovitch-Khain, in collaboration with Elaine Gazda and Helen Giordani.